Rehabilitation is an important tool that helps with pain management for pets suffering from various ailments. Some of these ailments include arthritis, hip dysplasia, disc problems and acute injury caused by muscle, tendon or ligament strains or ruptures. It also aids in rehabilitation of operative procedures such as ACL repair or fractured limb repair. The goals of physical therapy and rehabilitation are to accelerate healing through manipulation, massage and specialized exercises to return the patient to pre-injury soundness. Okanagan Veterinary Hospital offers rehabilitation physical therapy consultations under direct veterinary supervision. Proper physical therapy and rehabilitation exercises will help to prevent muscle atrophy of affected limbs, maintain load bearing on non injured limbs, accelerate healing, improve circulation and make your pet more comfortable after surgery. We will work one-on-one with you and your pet to develop a program best suited to your needs, and the great thing about physical therapy and rehabilitation is that much of the work can be done at home which not only speeds up recovery, but also builds a stronger bond between you and your pet. 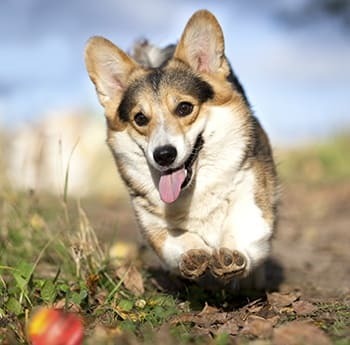 Our Registered Veterinary Technicians will evaluate the range of motion, muscle mass, and gait before going on to develop a specific program for your pet.